When you are going to choose a printer, there are many facts that you need to consider and many decisions you need to make. First of all, why you need the printer? Do you need it just to print the black and white documents? or Do you want it for colored print documents and colored photos? Is it a right printer that you will use for a large amount of printing almost like a print shop? Do you need a laser printer or an inkjet printer? Do you need a printer that is also like a fax machine and a scanner? Most of the people don’t like the idea of the all-in-one printer because if something is going wrong with one part then other parts also stop working. 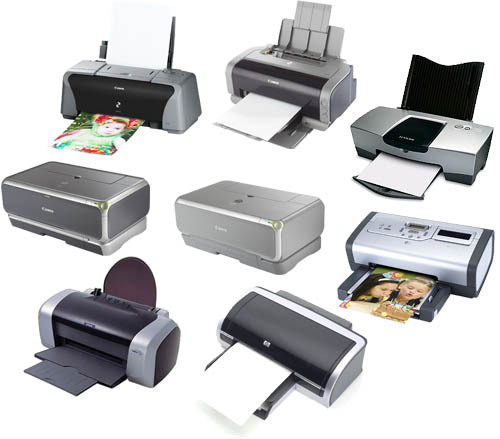 Then there are many kinds of printers available on the market. Your printing is only as good as your printer toner. Nowadays most of the inkjet printers have two separate ink cartridges, one for the color and one for the black ink. Some inkjet printer will have three separate color cartridges like red, yellow, and blue. Then the colors mix when the items are printed. This can be more efficient as far as buying the cartridges. When one cartridge is empty then you need to just fill the color that is empty. Also, some printers will hold a regular size ink cartridge or a large size cartridge or either. When you are going to buy a printer then you also need to know which one is compatible with the operating system of your computer. Is your computer system an Apple or a windows operated computer. These are the most popular, but there are others. If you are planning to purchase a laser printer then you have to make sure that you are well equipped with other alternatives if color laser printing is required. Then you get a clear picture of your budget and if you are looking for a cheap option then it is better to choose a laser printer. You can also click to read more tips on buying a printer.